Visit Perak and be mesmerized by the beauty of the mountain ranges, the lovely islands and islets that come with picture perfect horizons and sunsets as well as the many destinations around Perak that make for a good and memorable holiday. Perak is home to the Taiping Zoo. The zoo opened its gates to the public in the 1900s and has since been mesmerizing both the young and old with the creatures that call the zoo their home. Get your tickets for reasonable prices and make your way in. you will be greeted by the small furry animals at the beginning of the pathway. The entire zoo is designed to resemble a tropical forest in which you can walk through and see the many animals that live here. A highlight of the zoo that you will definitely want to stop at would be the Orang Utan. They spend most of their time sitting on the big boulder rocks in their enclosure. There are some who are well accustomed to tourists wanting a good shot of them and will even do some stunts on the trees for you. 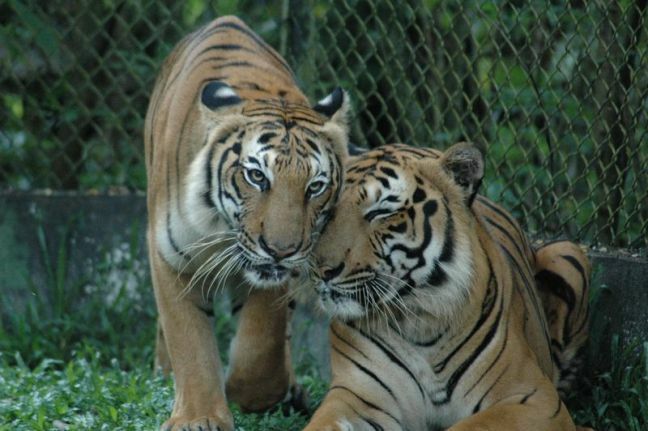 The Taiping Zoo also houses Tigers that are endangered species. They are unique creatures and the tigers here can be seen napping or walking around in their enclosure. Also a good highlight of the Taiping Zoo is the African Lions here. The pride can be seen in their enclosure, resting under the trees in a pride. Another great reason to visit the Taiping Zoo is to see the unique Malayan Elephants. These gentle giants can be seen walking around the shed and flapping their large sized ears to keep cool. In the afternoons, they will use their trunks to throw mud on their backs to keep the heat away. Another creature that is endangered in the Taiping Zoo is the Tapir and is definitely a must-see. Also at the zoo are giraffes, reptiles, birds of all kinds and camels. The Taiping Zoo does not sleep at night and the zoo holds night safari sessions for visitors who are bold enough to venture out into the dark forests to catch a glimpse of their favorite animal. The safari here is the first of its kind in the nation and has attracted many people to its grounds to explore the beauty of nature. Armed only with the moonlight since cameras with flash lights and torchlight are banned, this will definitely be an adventure worth remembering!